Red Cross is the world’s largest humanitarian network. They work to meet the needs and improve the lives of vulnerable people. 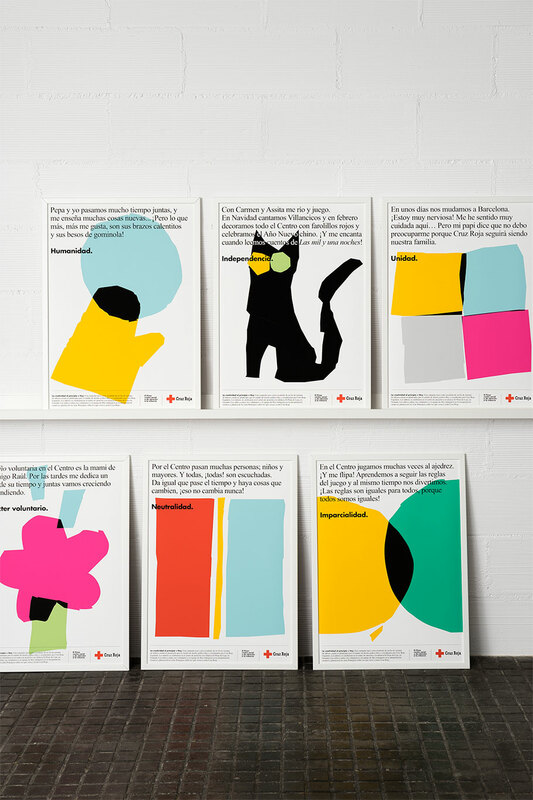 The goal of this project was to spread the seven Red Cross values through a series of posters. 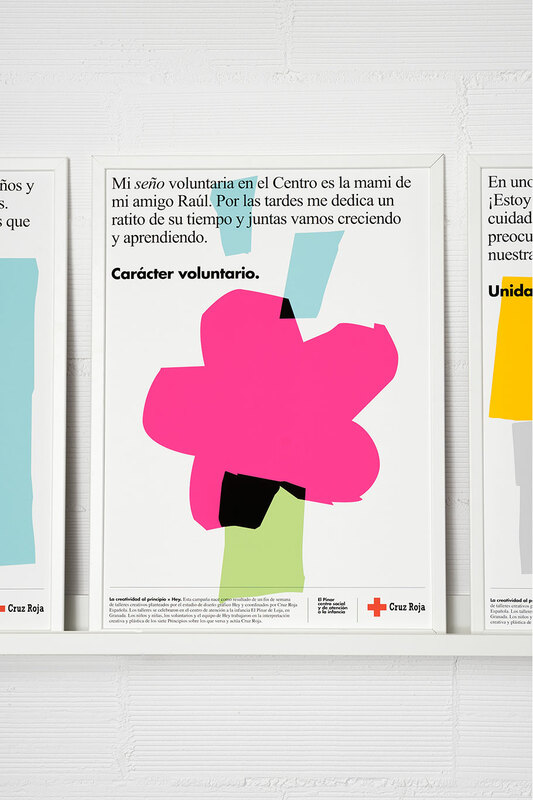 The campaign, which grew out of a children’s workshop at the El Pinar youth centre in Loja, needed to reflect the social character of Red Cross as well as the experiences of the participants during the activity. The posters came from the creative work the children themselves produced in the workshop. Their drawings were selected, edited and vectors were applied to arrive at powerful and effective results. 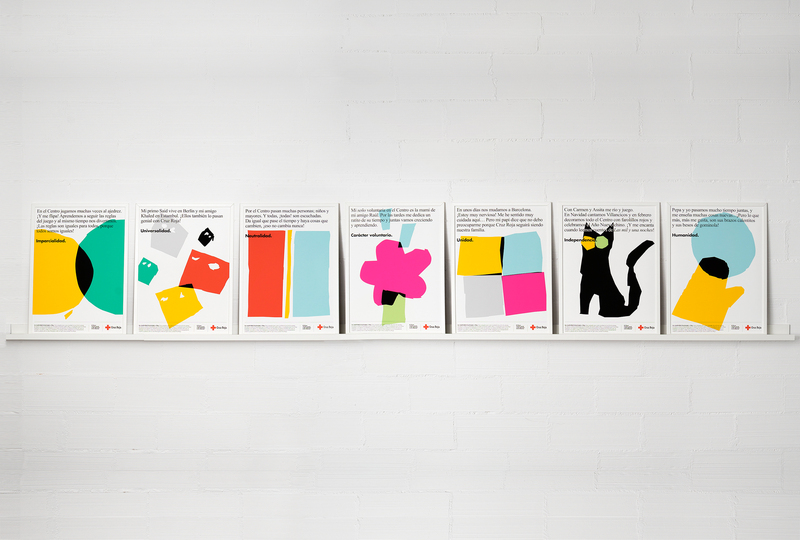 Both design and copy gave the campaign a context and childhood a voice. 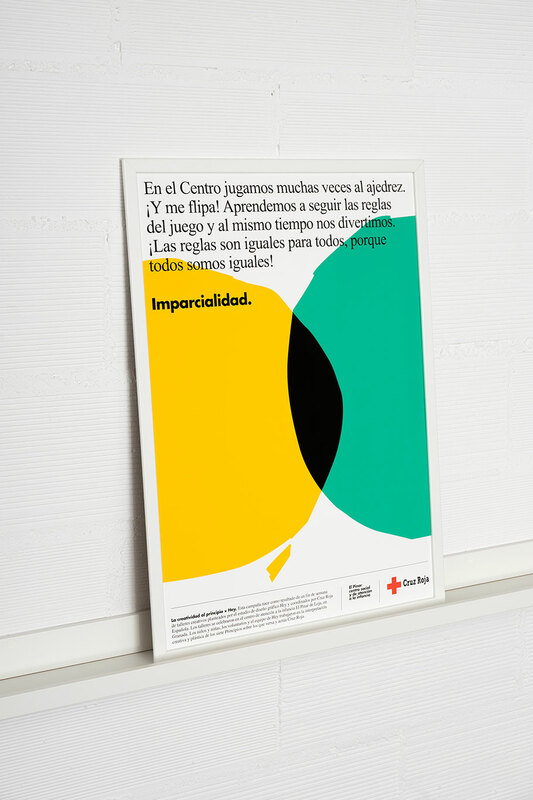 The invented quotes alongside the images allowed us to explain in a simple and educational way Red Cross’s seven core values: Humanity, Impartiality, Neutrality, Independence, Voluntary service, Unity and Universality. Our challenge was to convey a large amount of serious and complex information using just a few tools and resources. 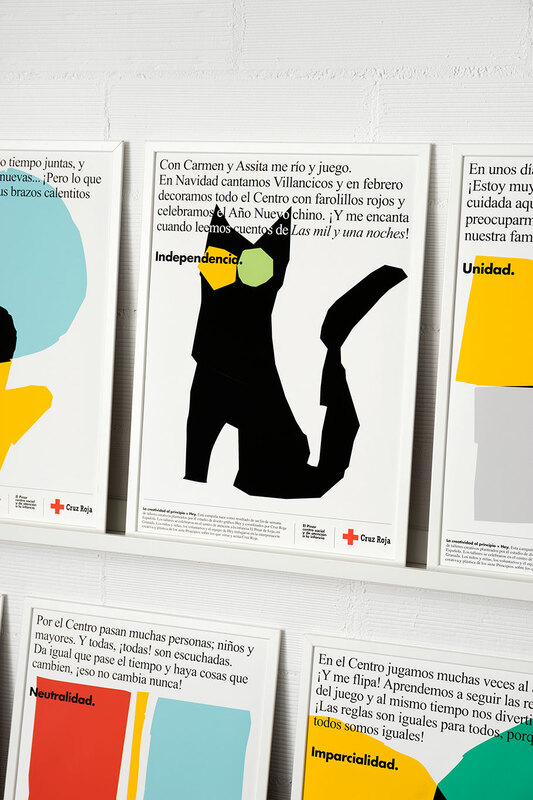 The campaign had a print run of 3000 for a national campaign in both Spanish and Catalan. This ran across the assemblies at all levels of Red Cross Spain. The aim of the campaign was not only to communicate the client’s values and their mission but also to generate empathy and raise awareness.